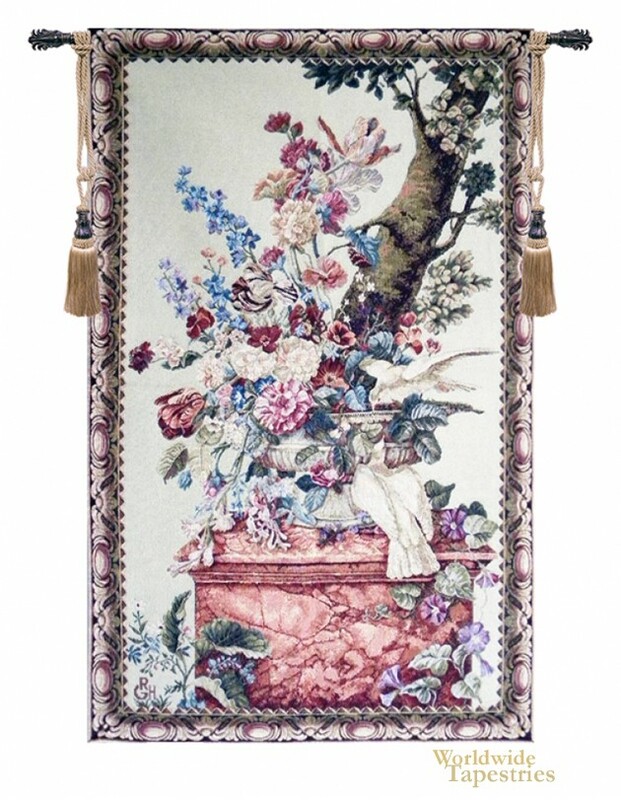 This floral tapestry Pigeon shows an elaborate arrangement of flowers in nature with white pigeons. In this scene we see an array of flowers including tulips and peonies in full bloom in a vase, propped on a stone pedestal in the outdoor garden beside a tree. The white birds are enjoying the flowers in the scene as well. This is a gorgeous was to bring the beauty of nature into the indoors. Pigeon tapestry is backed with a lining and a tunnel for easy hanging. Note: tapestry rods and tassels, where pictured, are not included in the price.